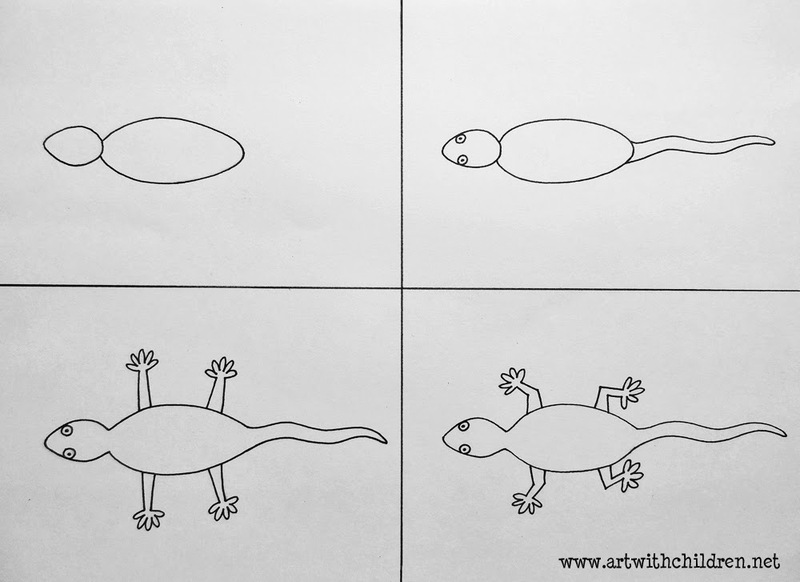 Drawing a house gecko in about four steps! 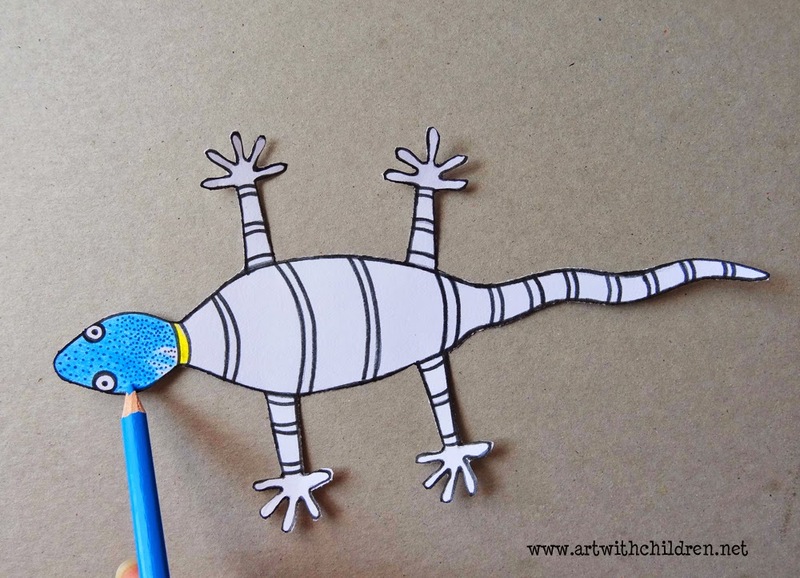 Children can draw the legs in the way suitable for their activity. 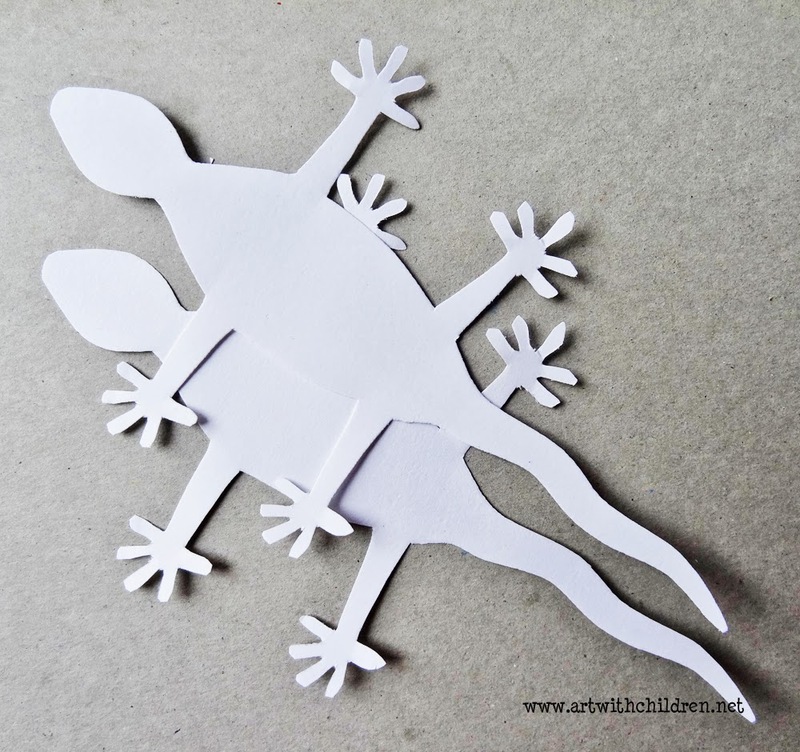 We wanted to make cut outs of these geckos and so we chose to draw the legs straight to make them easy to fold. I found it helpful to give out cut outs to the younger children or beginners. 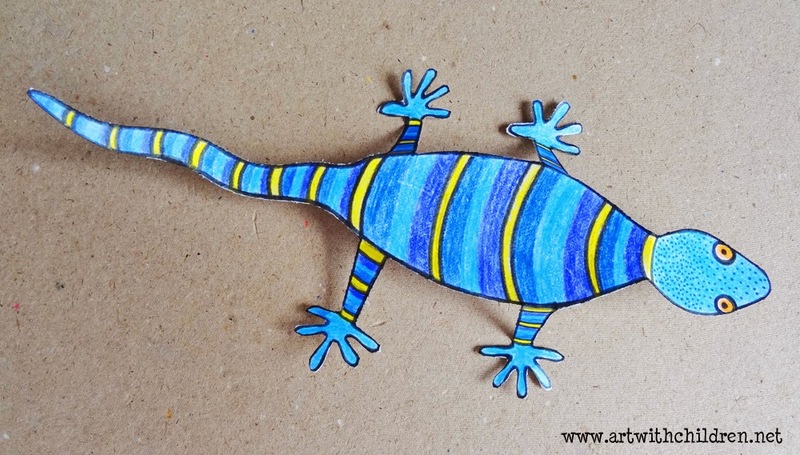 Above are the Geckos made by Rania and Shrehan. It is fine to leave the whites between the toes to make it easier to cut and they look great too! 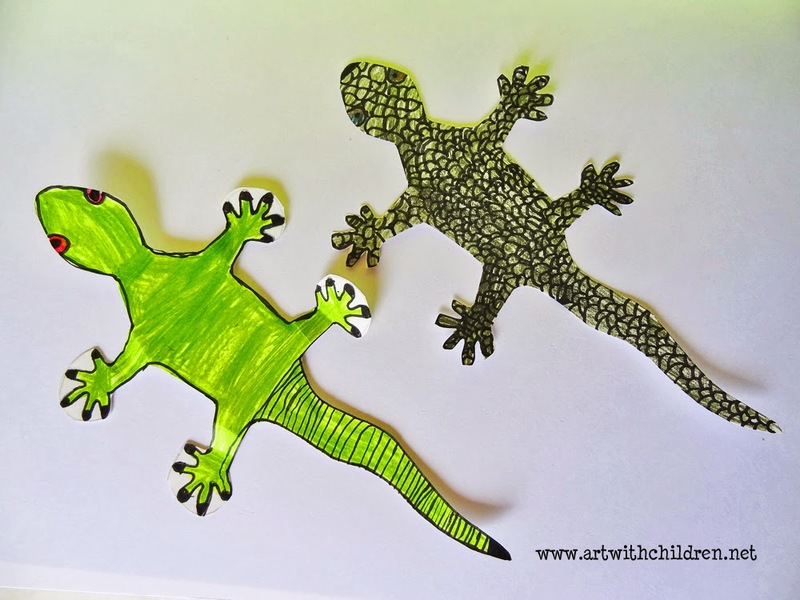 The children drew the geckos and coloured using color pencils and finally traced the lines using black markers before cutting them out. 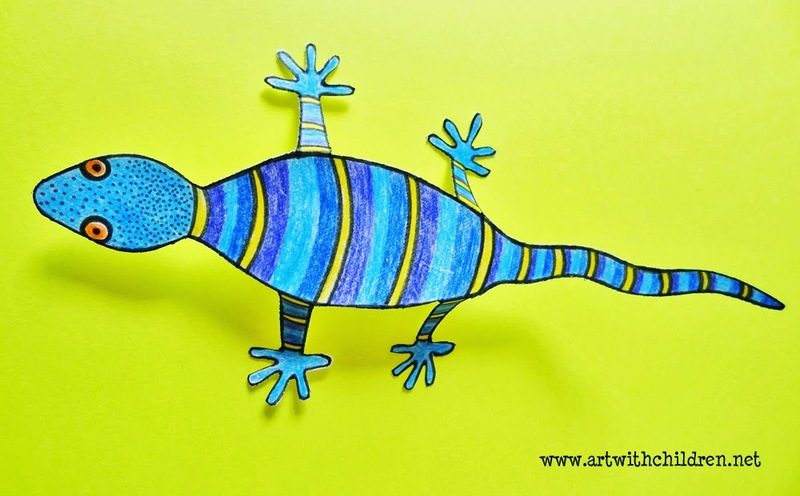 We had great fun creating these and also checked out some cool gecko facts! Have you tried making a terrarium for your Geckos? Find out how to make one, here.